Due to the drastic changes in the past 10 years in how people socialize and communicate on the internet with the rise of social media, I have decided to close the Illiop.com forum. Along with it, the rest of the outdated, half broken site from years of neglect has been taken down. I might bring the website back some day, but for now, I don't have the time or desire. The forum was getting spam bombed no matter what I tried, including setting moderation on new members. The forum script must have have broken from years of updates, since that and other admin features didn't work. I highly recommend going over to the following Reddit subs as a replacement way to chat with other fans of the two active boards that we had going. I can be found there as /u/Cubey2600. 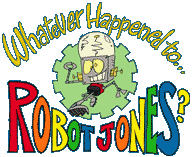 I created the Teddy Ruxpin one, but the Robot Jones one is someone else's. I will be subscribed to it, however.